ECHO MAG, based in Phoenix, Ariz., entered its 27th year of publication with its October 2015 issue. FLORIDA AGENDA, based in Fort Lauderdale, published its 300th issue on August 19, 2015. OPTIONS MAGAZINE, based in Providence, R.I., announced that its new calendar editor is SHAUN MILLER. OUTWORD, based in Sacramento, Calif., celebrated is 20th anniversary with its August 27, 2015, issue. 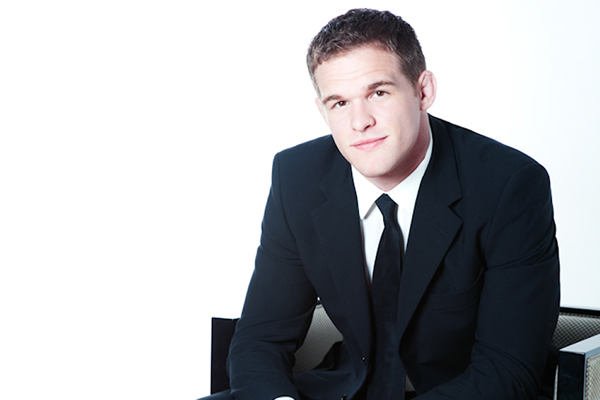 HUDSON TAYLOR, the founder and executive director of Athlete Ally, a wrestling coach at Columbia University, and a prominent straight ally and LGBT rights activist, was the guest editor of THE WASHINGTON BLADE’s annual Sports Issue published on August 21, 2015. UNITE INDIANAPOLIS celebrated its first anniversary with its August/September issue. The brand also unveiled UNITE NASHVILLE QUARTERLY, reflecting this edition’s new publishing schedule. Mark Segal wears many hats. He is an activist, founder and publisher of Philadelphia Gay News (PGN), civic leader, political operative, and national LGBT leader. Segal is also often referred to as the dean of American gay journalism. Now, with the publication of his memoir, “And Then I Danced: Traveling the Road to LGBT Equality,” he dons the hat of author. By several measures, the book is a hit. Reviews have been positive. Within one month of its publication and after several readings in Philadelphia, New York City, and Washington, D.C., the publisher has ordered a second printing. “And I Then Danced” is now a number-one LGBT bestseller. The book is also being promoted in some unusual ways — on billboards and taxicabs. In 302 pages, Segal’s memoir traces his humble beginnings, growing up in a South Philadelphia housing project to his high point of dancing with his husband at the White House. Along the way, readers are treated with decades of gay history and LGBT liberation. One of the ways Segal made his historical mark was by interrupting media personnel on the air to raise LGBT visibility. 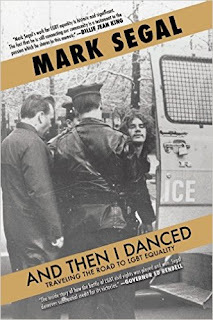 Of course, in “And Then I Danced,” Segal recounts the history of PGN, from its humble beginnings to a 2014 awards dinner where the newspaper received a national award for its investigative series on the murder of a local transgender woman. He writes in his book, “By late 1975, we were laying out the first edition of the paper, which was to be issued in January 1976. Never did I expect the battles that would follow over journalism. Our vending boxes would be bombed, and we would clean them out, repaint them, and put them back. People would run over them with their cars, and we would, again, clean them up, repaint them, and put them back out. People threw bricks into our windows and sprayed graffiti all over the building. The death threats were something we got used to. My being put on the American Nazi Party’s hit list in their magazine was a little bit more unique. And yet, PGN, which celebrates its 40th anniversary next year, has grown to become one the nation’s most respected LGBT weekly newspapers, housed in its own building. "Mark Segal is a beloved and respected activist for the LGBT movement, and he's a pivotal voice to tell our story," said Lucas Grindley, editorial director for Here Media, in a press release. "It's important that LGBT history be told by those who worked directly to shape it — because our story must be remembered accurately, and with the passion it deserves." Excerpts were scheduled to appear on November 16, 18, and 20, 2015, with remembrances spanning from the Stonewall riots to President Obama. The first instalment can be found at http://www.advocate.com/books/2015/11/17/stonewall-white-house-mark-segals-gripping-memoir. Last month, DJ Doran, the publisher of the Midwest’s largest circulation monthly LGBTQ newspaper, "The Word," launched a new venture called PrideFlight2018. In the spring of 2018, Doran will attempt to become the first openly gay pilot to circumnavigate the globe on a goodwill mission supporting LGBT communities, groups, and organizations worldwide. The project will be driven entirely through volunteer enthusiasm with the critical assistance of a Fundable campaign (http://www.fundable.com/prideflight2018), media partners, individual supporters, and an online store selling logo items. Doran and his crew will be flying a WWII-era DC-3, fully restored to modern standards. The plane will be transported from Mexico to California, where it will undergo the first phase of restoration and remain for the winter before making its way to Indianapolis in the spring of 2016. The mission will depart Indianapolis in the spring of 2018 with the first legs stopping in New Orleans, Key West, New York, and Goose Bay (Newfoundland, Canada) before braving the dangerous flight across the North Atlantic to Glasgow via Greenland and Iceland. The total journey will be more than 15,000 miles. PrideFlight2018 will require two years of planning to arrange financing, coordinate international aviation requirements, secure landing rights and specialized flight training, and ensure other mission needs are met. In addition to modern avionics, the crew will transmit live images from five cameras on board, located on the wings, fuselage and in the cockpit, and will post updates on the PrideFlight2018 blog, prideflight2018.com. Besides "The Word" (thegayword.com), based in Indianapolis, Doran is also publisher of Gaycation Magazine (gaycationmagazine.com) and Rainbow Tourism (rainbowtourism.com). 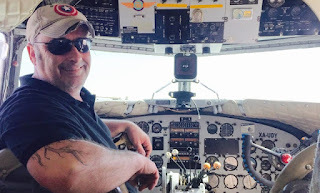 Doran is an experienced aviator, which includes a tour in the US Air Force. Editor Matt Comer resigned in late August after Charlotte, N.C.-based QNotes’ publisher Jim Yarbrough pulled Comer’s commentary on the local Pride celebration.The piece, however, was published on Comer’s blog (http://www.mattcomer.net/1099/quite-simply-the-best-charlotte-pride-ever/). For Yarbrough, transparency and conflict of interest were major concerns. He offered readers an explanation for pulling the piece (http://goqnotes.com/36426/comers-last-issue/). Reached by phone, Yarbrough declined to comment further. However, he did point out that there is a difference between a publisher serving on LGBT community boards of directors and an editor serving. Reached by email, Comer offered a further explanation. 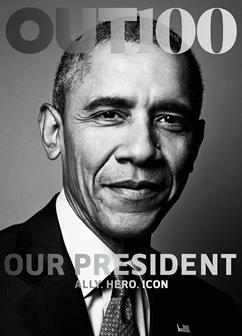 For its OUT 100 issue, OUT Magazine has named President Barack Obama as “Ally of the Year,” with a photo of Obama gracing the cover. This marks the first time in history that a sitting president has been photographed for the cover of an LGBT publication, according to the magazine. The OUT 100 issue includes an exclusive interview with the president in which Obama discusses marriage equality as well as other initiatives that are changing the LGBT landscape in America. Here are some selected quotes from the Obama OUT cover story. With its silver anniversary confab held just a few months ago, the National Lesbian & Gay Journalists Association (NLGJA) is already planning for the next convention. The organization has issued a call to its members for submission of proposals for workshops and breakout sessions. Requests for presentation proposals lay the basis for the development of the educational portion of the conference. In 2016, NLGJA hopes to provide more than 30 workshop opportunities to more than 350 conference attendees. Proposals from members are an integral step in the process for the conference planning committee. Next year’s annual convention and LGBT Media Summit will be held at the Ritz-Carlton South Beach Miami, September 8-11, 2016. Anyone interested in presenting during the convention should fill out the Session Proposal Form (http://www.nlgja.org/2016/submit-a-session-proposal/) by the close of business December 16, 2015. However, submission of a proposal does not guarantee a workshop presentation opportunity at the conference or a seat on a panel. The conference planning committee and NLGJA staff will collect all of the proposals submitted and review them based on the overall content and its relevance to NLGJA members and proposed learning objective. People will be contacted by January 31, 2016, if their proposal is selected. Questions? Contact NLGJA’s Bach Polakowski at 202-588-9888. PPQ: What part of UNITE Magazine is the most popular? Amato: The most popular part of UNITE is our covers. People love the various celebrities we were able to feature in our publication. Amato: I did and it was just a word that I thought of when looking at various aspects of the community. Within our own community, we tend to ridicule, tease, bully and divide. So I thought UNITE would be a great name to bring all areas of the LGBT community together. PPQ: What challenge has your publication had to overcome? Amato: The move to digital is definitely a challenge, as well as increased competition from other local (non-LGBT) lifestyle publications. As the LGBT community becomes more welcomed, there is less of a need for LGBT-specific venues, so many people just visit mainstream locations. When it comes to ad dollars, these venues don’t necessarily need to target one specific niche in a city. PPQ: What challenges is UNITE facing now? Amato: We are trying to find other publishers and/or entrepreneurs who wish to license the UNITE name and brand in their city. Amato: I would like to see our brand open in more mid-size cities across the country. Amato: No I don’t. I see myself as an entrepreneur who saw a need and filled it within my community. Amato: I always receive emails thanking us for the work we have done and how we are so much more than a bar rag. People keep UNITE on their coffee table, at their office, or read it on a plane. We do not publish any risqué content or ads, so it is a family-friendly publication. The most skin you will ever see is a shirtless fitness trainer. Amato: Do it only if there is a need for it in your community. For example, if there are already four LGBT magazines, there is no need for a fifth. If you live in a community that only has an LGBT newspaper, then a magazine may be needed to complement the paper. This is where it may make sense to license the UNITE brand. We will maintain your website and help with content and design for a very minimal fee.